You manage to build a time machine and you take it for a test run. Things go well and you end up in the future. You realize that there was some kind of zombie disaster and that planet is filled with zombies. You also notice that your fuel is almost empty. Your goal is to gather as much of zombie blood as possible. You can also retrieve guns from the past using your time machine - of course, it requires fuel! 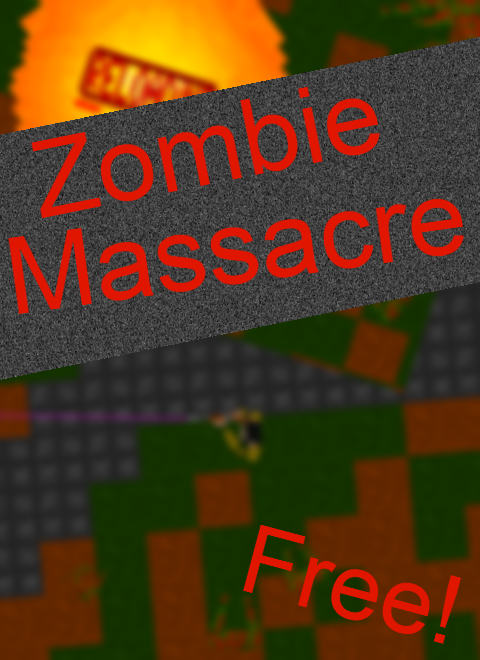 To promote Zombie Massacre and grow its popularity (top games), use the embed code provided on your homepage, blog, forums and elsewhere you desire. Or try our widget. Balls Dimension is a game about adventure with fighting and upgrading own players. I think I will be streaming my game development (No voice). Twitch.tv Check it out if you're interested! Linux, I have to say I give up on making a .sh file. It is so much easier to make properly working .bat file in Windows..